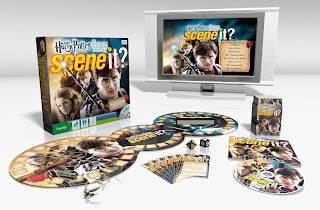 Harry Potter: The Complete Cinematic Journey Scene It Game: $18.99 + Eligible for Free Shipping! Here's another great Amazon gift idea! You can get the Harry Potter: The Complete Cinematic Journey Scene It Game for just $18.99! This costs $29.97 at Walmart. You can get free shipping on orders of $25+ of Super Saver Shipping items, which should be easy to find!